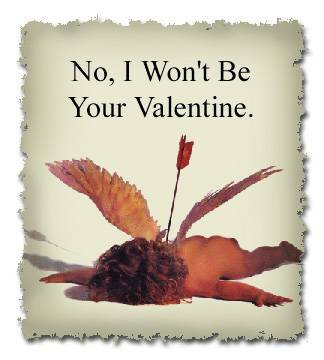 so today in a meeting, the subject of vday came up, and i made a snide comment about valentine’s day and my inclination to vacillate between apathy and disdain for the greeting card holiday. me: yes, well…erm…can we move on? after which my dear friend sent out this as visual aid. This entry was posted in Uncategorized and tagged bacon, cynicism, dating, photo, valentine's day. Bookmark the permalink. Post a comment or leave a trackback: Trackback URL.